Q: To start this interview, can you talk about Step Creative Group? Your past, the development team and their background. R: Development studio Step Creative Group (Step CG) celebrated its 10 year anniversary this year. Our history begins in 1995 when we put our "(c) Step CG" on the demo-version of Star Heritage, the game developed on Spectrum ZX platform. The game was a great success (thousands of gamers paid for one copy of Star Heritage twice more than for other games), and we were ready to continue developing games for Spectrum, thinking of Star Heritage 2 even then. Soon it became obvious that Spectrum had no future, outmatched by the stronger IBM PC which has appeared on the horizon. 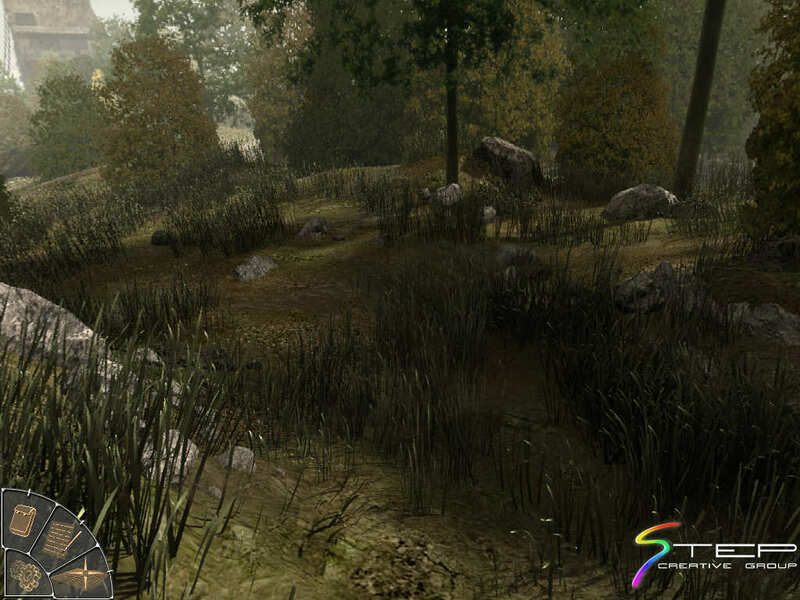 The author of the novel which Star Inheritance was based on, Yury Matveyev, started developing the game studio Step CG. Currently we are an independent developer of computer games on PC platform. All the developers in our team have different experience in game development industry: someone has two or three projects in the past, someone – half a dozen and someone stands in the beginning of the game development career. Step CG has already finished work on two projects. By the end of September 2005 we will be pleased to present the Russian gaming community with the remake of Star Heritage 1: The Black Cobra. Also, two adventure games are in development now (Evenings on a Farm near Dikanka and The Island: The Earthling) and we have some interesting projects not announced yet. Less then four years after making the decision to make games for PC, the company has recovered its position after the end of developing for Spectrum. This September we opened a renovated English web-site www.stepgames.com, and at the beginning of autumn we’ve moved to an ‘upgraded’ office where game developers of Step CG studio will work in more comfortable conditions. The amount of employees is planned to be increased to 60. Q: From the information we have, we know you are working on lots of games. Four of them are graphic adventures. What gives you the idea to develope this kind of games? R: Possibly, the reason for prevalence of adventures in our game record is special flavour and unpredictable plotlines of such games. However it is necessary to note, that we deal not only with this genre. For example, children adventure Alice’s Journey developed by our company has six arcades, upcoming project Star Heritage 1: The Black Cobra has RPG-elements and fights. In fact, some fascinating products were born exactly on a joint of game genres. We make our games for real admirers of thrilling original plots and qualitative gameplay, no matter what genre or mix of genres they are. There were not many games with the similar mix of genre in different proportions in game development history. One can remember Hero Quest from Sierra, Superhero League of Hoboken and Shannara from Legend Entertainment, and each one became an event. We are going to continue the tradition. Q: We can start talking about your games, from the one closet to the shelves: Star Heritage 1. 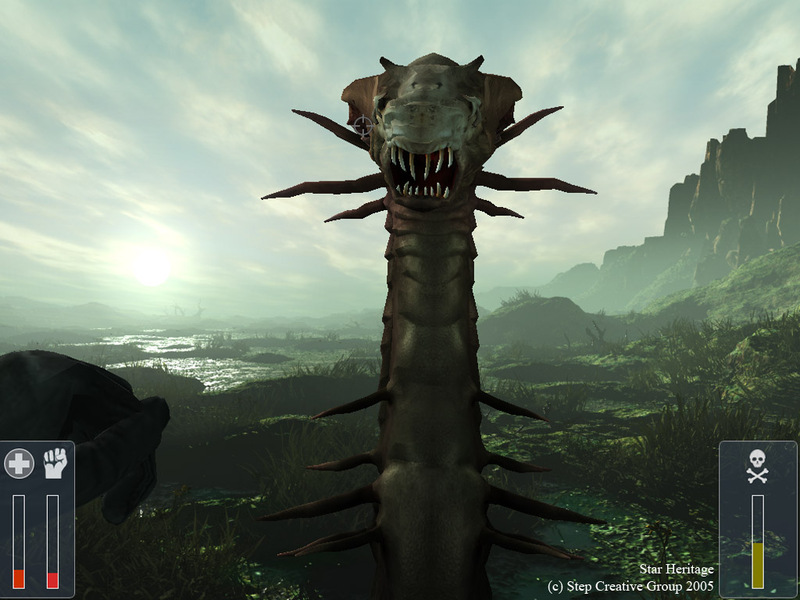 We know Star Heritage is a remake of a text adventure you developed in 1995 for Spectrum. Can you introduce us in the world of Star Heritage? R: Star Heritage 1: The Black Cobra is a game with non-trivial fantastic plot and world-famous history of the Universe. Also I can say that the main settings of this game were tested by time: as you have mentioned this upcoming project is a remake of a very popular ZX Spectrum version in Russia. Many gamers noted the peculiar atmosphere of this game, feeling of a real space adventure and some features which make it so different from other games. 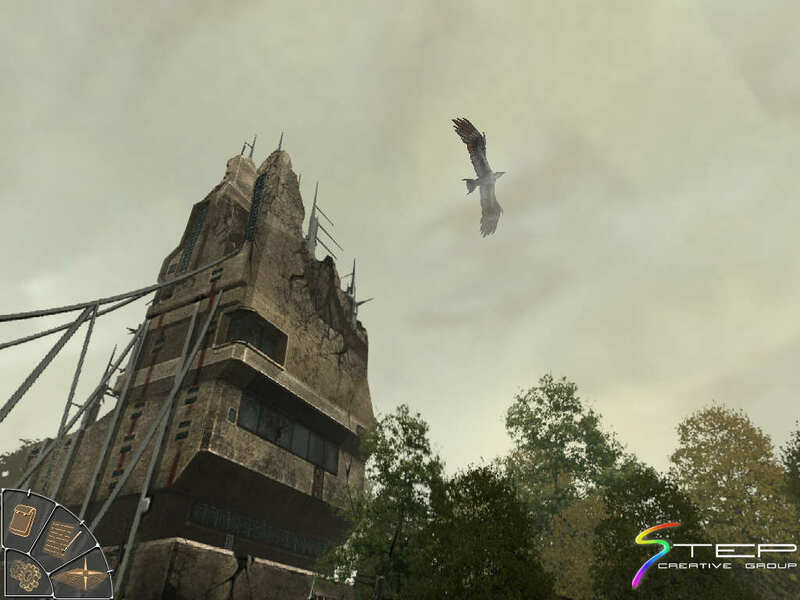 Even it has “elite roots”, the scenario version of game was written under the impression from game Elite, very popular in the middle of the 90th in Russia, the framework of that universe was substantially extended. We devised new races, changed conditions of local reality. On the essence, this was already another universe, only separate elements resembled the unforgettable world of game Elite. 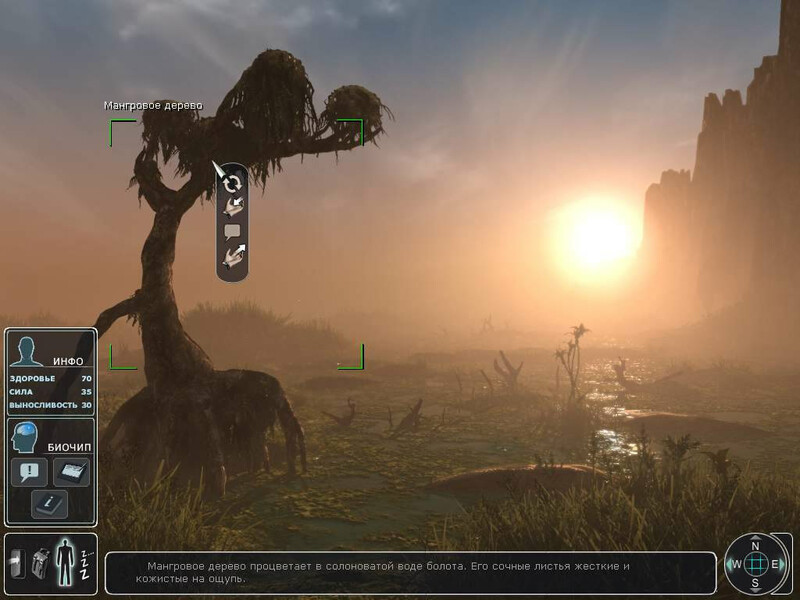 The scenario of the spectrum version of the game was written by one person - Yuri Matveyev, now several authors are working on the extended version of the game scenario. ...Once upon a time powerful race of Artangs conquered the Universe and no one could resist them. People from Earth were secretly preparing for war. They smuggled stolen Artang weapons to unprotected planets. Rebels of Earth, disguised as merchants, carried out important missions of the Opposition. One of them was our hero, who had been caught smuggling by an Artang patrol and managed to survive an unequal fight, ship to ship. But having lost his ship and its secret cargo, he found himself stranded on an unknown planet. His main goal was to leave the planet and continue the struggle for freedom. However, the way home was long and hard. The travels of the hero involve a sequence of surprising discoveries, which unexpectedly reveal the mysteries of the Universe. This knowledge may yet play a key role in the struggle against Artangs. If you want learn more about the prehistory of game events you can read the original novel on which the game scenario is based http://www.stepgames.com/projects/starheritage/story.php. 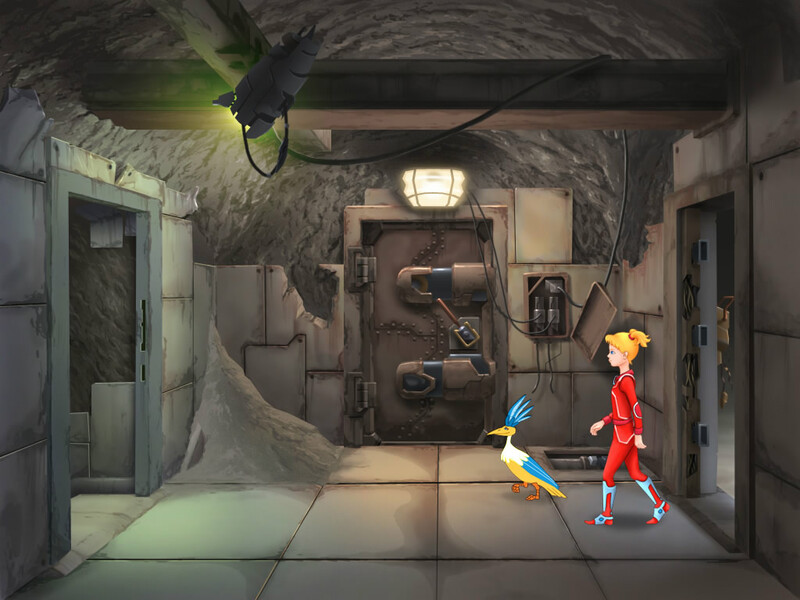 Q: Thanks to the trailer and the press release, we have seen Star Heritage is not your tipical point and click adventure. What are the innvoations of this unique game? R: This game is not one you finish and forget in one moment. 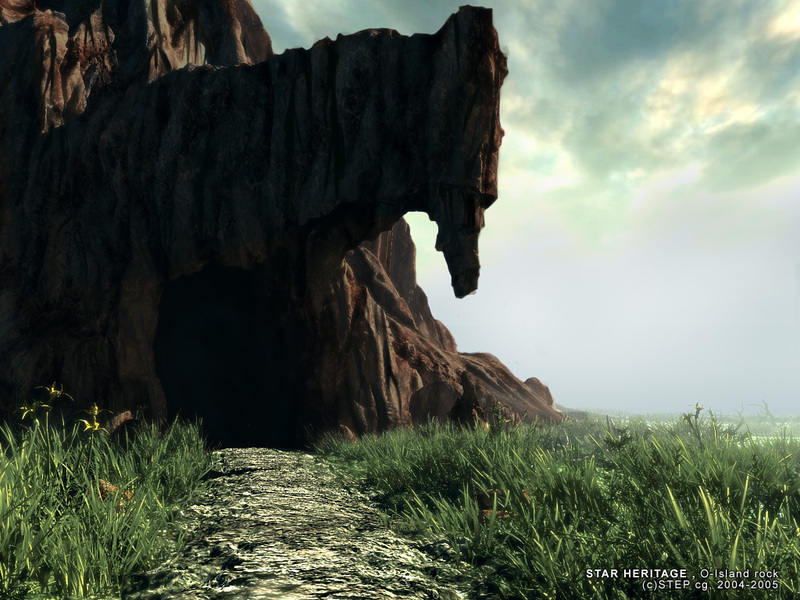 The world of Star Heritage is so different and unique that you will return certainly: to finish the game following another line of the plot, to find more information which make clear other mysteries in the game, to solve new puzzles, to feel the astonishing atmosphere of Star Heritage again. After the spectrum version of this game it was very interesting for us to use all the powers PC gives to a developer. 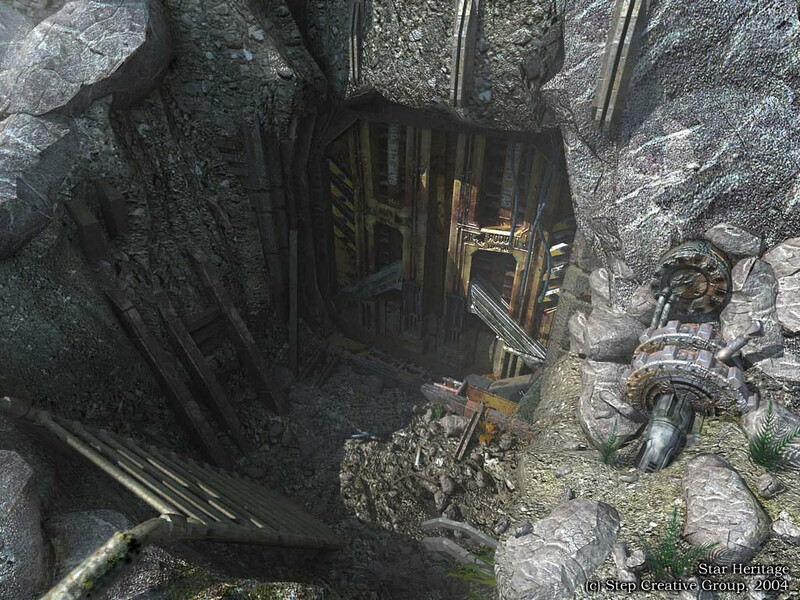 For example, the first person view gives an opportunity to appreciate the enchanting graphics and interesting design of locations (there are about 80 of them). Owing to sound opportunities we made game music interactive. The soundtrack of Star Heritage includes about twenty unique compositions and five remakes of tracks from the original spectrum version. 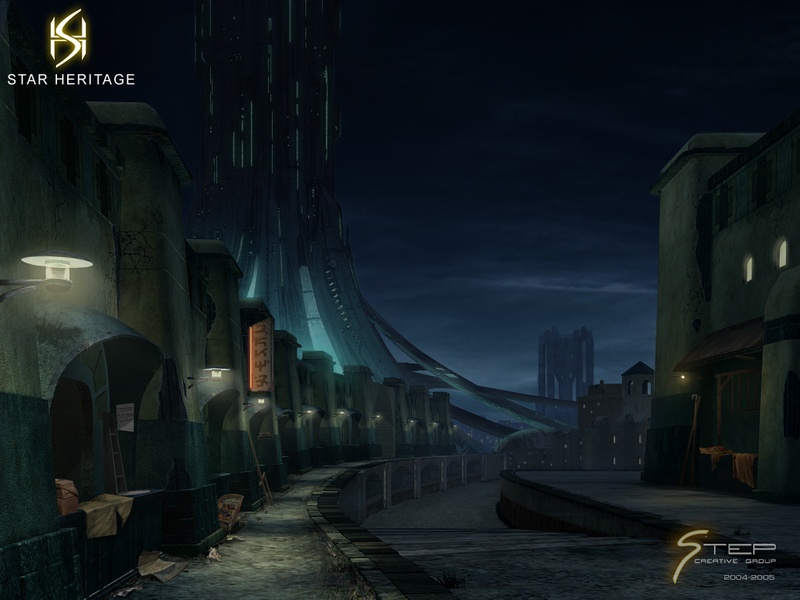 It is an adventure game with RPG-elements and that is why you’ll not be able just to run through a bunch of locations. You’ll need to find some sources of energy and to rest. The mane hero will have 3 parameters: health, strength and stamina. If your health falls to zero, you die. The higher the strength, the more powerful your attack during combat is, the higher the stamina – the less damage you take. All the parameters are interconnected and can be improved during the game. Q: In Star Heritage we’ll have lots of fighting and action. 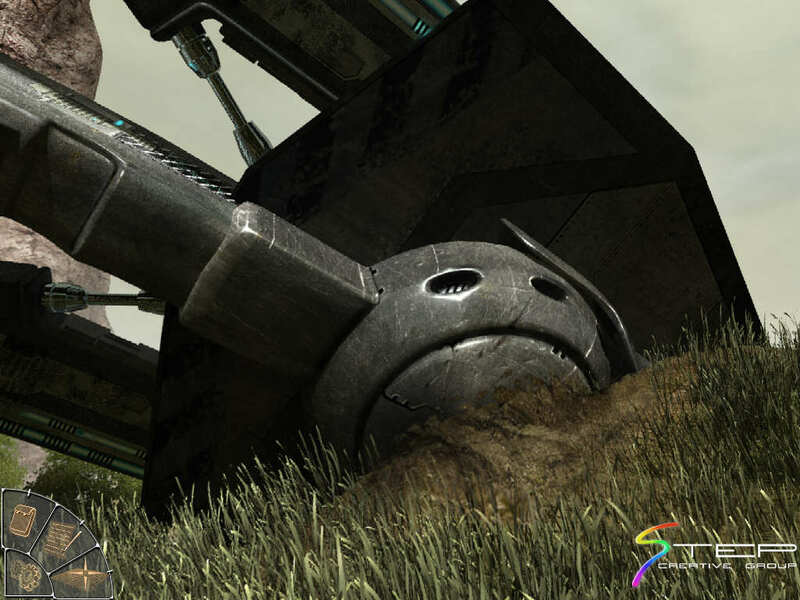 In the past, many developers tried to mix a strong action part with the adventure’s mechanism, but they never had great success. How do you think to integrate these components? Why do you think to make success where many others failed? R: As we have mentioned it before, the success of the formula of Star Heritage 1: The Black Cobra has been tested by time. 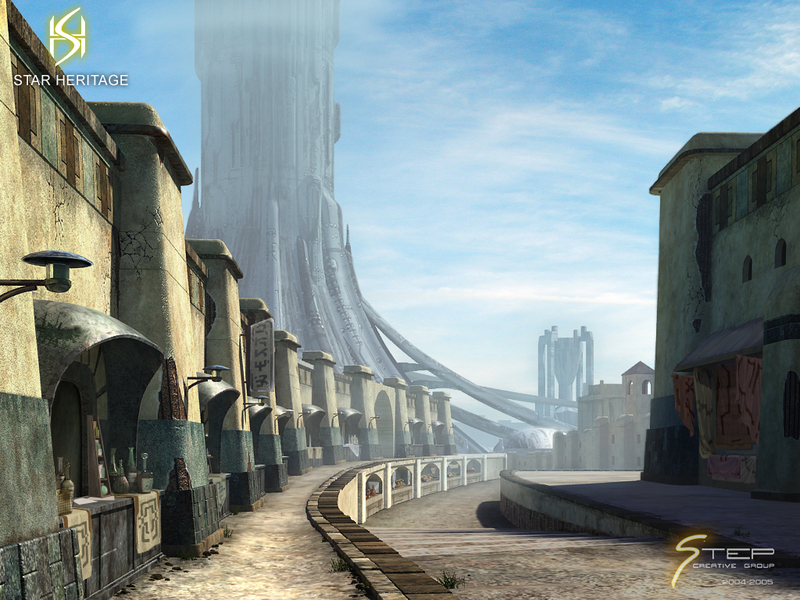 We tried to keep every feature of the first version of Star heritage which was made 10 years ago. 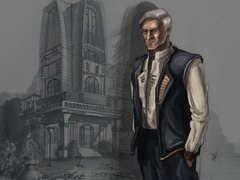 We want to point out again that our hero is not a killer, he is a secret agent a merchant in disguise, and our game is not adventure/action – it is adventure with RPG-elements. So there are no ‘lots of fighting and action’ in the game. Gameplay is about 60% of exploration (investigating new territories, dialogues with NPC etc. ), 30% of quest puzzles and about 10% of fights (but those who enjoy it can find much more, for example systematically visiting the city Taran during curfew). We paid special attention to the balancing of our fighting system, the system itself was developed anew. The dynamic fights of the game make you feel thrilling adventure turmoil and make all the events of the game world more real. Q: We are very curious about the control system. We’ll need mouse only, as for point and click adventures, or the keyboard/joypad could give us more in terms of gameplay? R: You can use mouse to do everything in the game, but there are some keyboard shortcuts for convenience. Q: The non-linearity of the game should be one of the strong points for Star Heritage. We know there are lots of interpretations for this kind of thing. Can you give us your view on the topic? R: Non-linearity of the game declared in our press releases is realized, as we call it, ‘at all fronts’. Moreover, the freedom of player in the new Star Heritage is substantially increased. For example, there is a possibility to pass to the side of Artangs and even to make a career! Non-linearity of Star Heritage can be divided into four kinds. First, many game problems can be solved in different order, which, owing to RPG-elements, can essentially influence the difficulty of passing the game. Second, it is possible to attain some purposes by several principally different ways. For example, to get to Taran city from Pulsar city is possible in two ways. Third, player can make the decision, which radically changes his entire plot, as I have told before, and move to the side of aggressors – the Artangs. 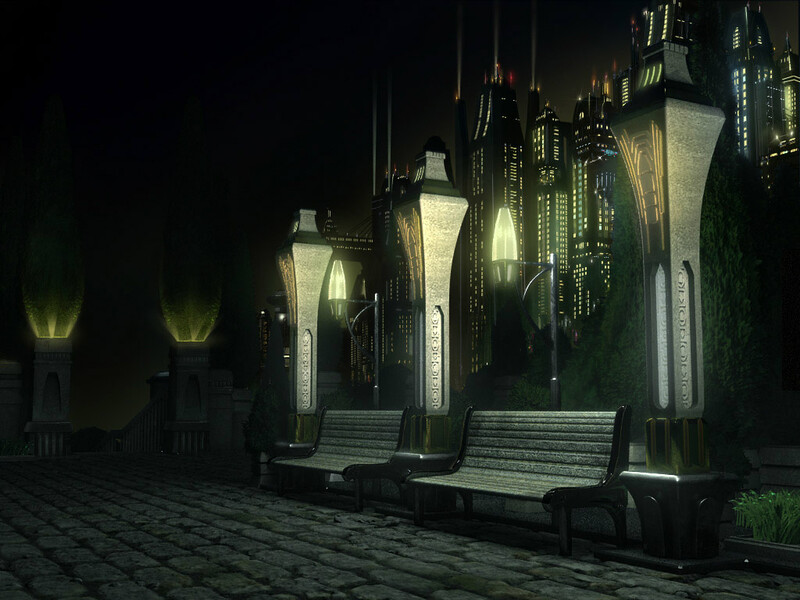 Fourth, the game events can be influenced by the time of day: for example, in one play location, at night, the player is subjected to attack of night predators and is forced to defend himself , though during daytime he can easily continue his way. Q: Others innovations of the game are the implementation of the day-night cycle and the random weather situation. In which way these factors could influence gameplay? R: There are four times of a day in a game. Your adventure is greatly influenced by their change (remember the curfew in Taran in the evening?). Random weather situation (try not to get cold after it rains (jokingly) creates a real unique atmosphere of everything that happens in the world of Star Heritage. Q: Let’s talk about Evening on a farm near Dikanka and Alice’s Journey. These are certainly more traditional games. Can you talk about both games and their unique cartoon style? R: First, several words about finished project Alice’s Journey. This game appeared in the Russian market in July this year and we have already got a lot of kind words about it from the gamers. 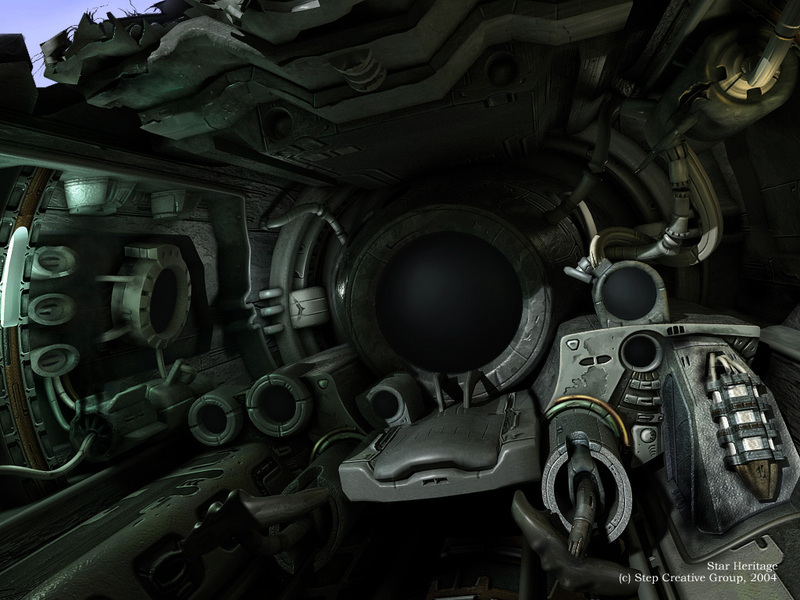 Though it has some complicated moments (for example, the arcade parts of the game are rather difficult), we managed to fulfil the main purpose - to create the atmosphere of a real space adventure and keep sense of Kir Bulychev’s fantastic world (he is the author of the novel of the same name). We used cartoon style in this game as it is aimed at the family market. The unique cartoon style of our current project Evenings on a Farm near Dikanka was based on the stories written by famous Russian classical author Nikolai Gogol. The hero, blacksmith Vakula, begins his adventures in his native village, but the course of events leads him into the strange world. 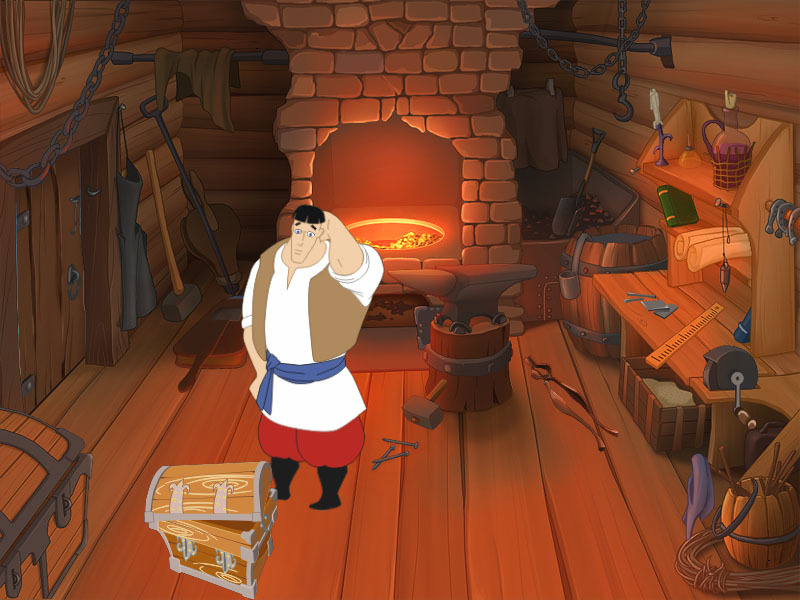 The unique Gogol style of "everyday fantasy", where Casual and Magic go together side by side, in combination with the Slavic folklore determines everything in the game world. So there will be beautiful 2D graphic made in historical and fairytale colours, interesting and various quest puzzles and of course amusing colourful characters which you can see in the art-gallery of the project (http://www.stepgames.com/art.php?id=5) and discuss in our forum (http://www.stepgames.com/forum/viewforum.php?f=3). Q: One of the last game you announced is called The Island, taken by the fantasy of Strugatsky brothers. For now there are only few information about this title. What we’re going to see in this promising upcoming game? R: First we would like to point probably the most important difference of this game: we are not going to make a “fake”, which gives the gamer only emotional satisfaction. 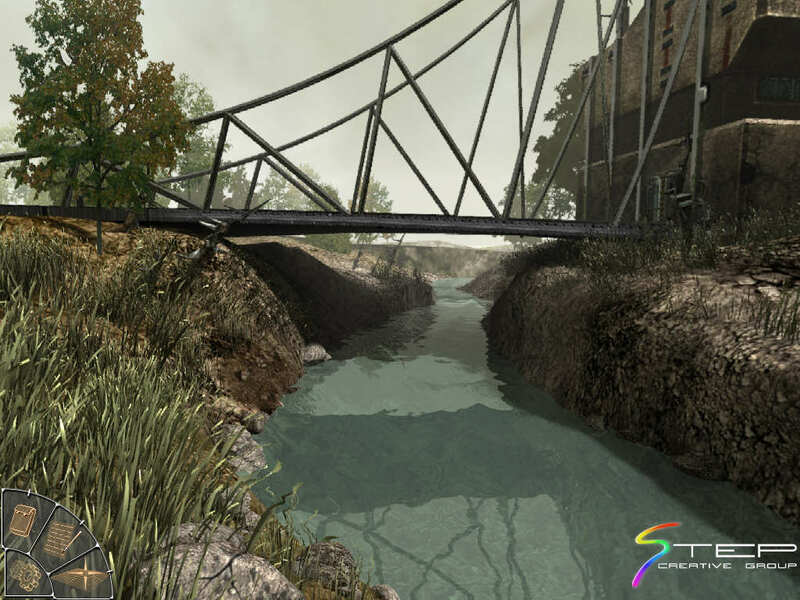 “Inhabited Island”, on which the game is based, - is unique novel even for the Strugatsky brothers. It has thrilling plot full of dynamics, fascinating ideas and deep philosophic and social sense. Following the main hero Maxim Kammerer, our gamer has to research unusual world from the beginning. And the most astonishing thing is that the usual truth often turns out to be false and the world literally is upside down (just remember an expressive exclamation “Massaraksh!” from the novel which can be translated as “The world inside out”). We would like to pull out the gamer with the mental hesitations and to compel him to think of these problems which the modern society has. May be it will be possible to make him think of man’s destiny and the role of the state in mankind history. Q: We know your project is very ambitiuos. The Island has a first person view and your objective seems to be the photorealistic landscapes. How the development of the game is going? Have you found problems in realizing your ideas? R: At this moment the game is in the intensive development. 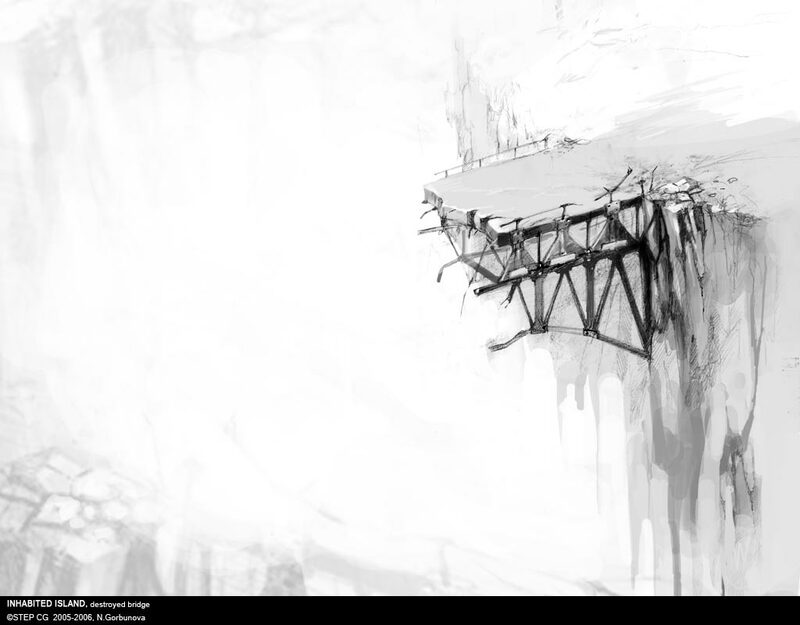 Now we are working on the game engine, concept art. 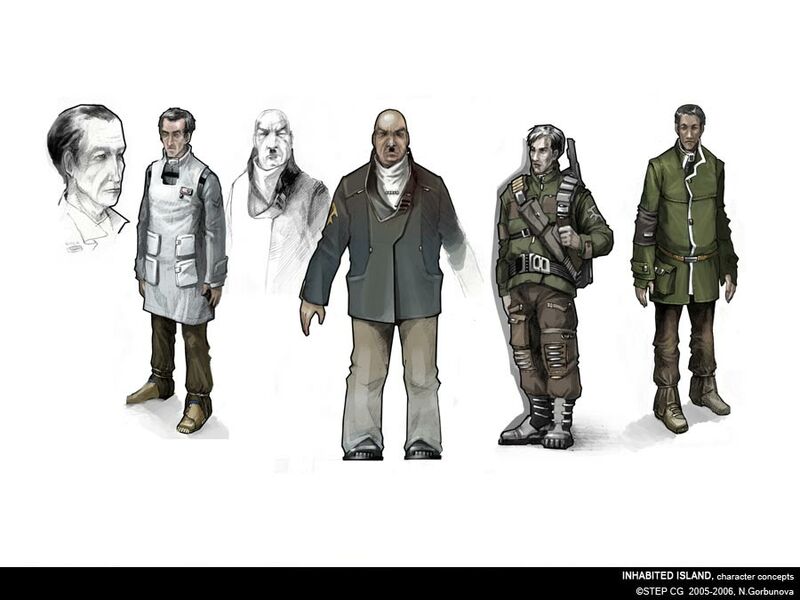 We have already worked out general ideology of the project, its style, the concept of gameplay. Several parts of the scenario are written. You can see the sketches of some characters and locations in the art-gallery of the project http://www.stepgames.com/art.php?.id=7. Q: Talking in general: what do you think about the difficult moment in which the adventure gamers are today? And what do you except for the future of this market? R: Constant conversations about death of the genre are only words. The projects of this genre have a great amount of fans and we suppose this audience will never refuse there favourite games which give the opportunity for brain training and contemplation. However the vector of popularity is directed now toward the games which are more dynamic. Possibly, in its previous form the genre will not be preserved, but if we enlarge its framework (what we have made in Star Heritage 1: The Black Cobra) it will become more popular. Q: Have you got some other projects in mind for the future? Can you anticipate something for our reader? R: We keep several projects in our mind but please, do not be angry, we are not going to open our secrets. Q: Are you going to publish your game worldwide? We are obviously very interesting about the italian market. We want to buy your game in our country!! Have you speak with italian publisher yet? R: We are looking forward to release this game in European countries and we are negotiating with several publishers. One of them is Italian and we will be happy to present our game to the Italian gamers. Many thanks and see you soon.